Hawaii's largest and most active airport is getting a makeover and a new name. The airport, formerly known as Honolulu International Airport, was renamed earlier this year to Daniel K. Inouye International Airport. The new major aspects of the airport are a new concourse, terminal, and car rental facility. The project is expected to be ongoing through 2021 with the car rental facility being completed in 2020. Habitat for Humanity is starting its long-term phase of its Habitat Hammers Back Hurricane Recovery Initiative. This nonprofit is looking to raise $100 million to support repairs and rebuild both low and moderate income home to families in Texas, Florida and Puerto Rico. Habitat has set an initial goal to reach 2,000 families in each of these places. In Texas and Florida, efforts are more focused on home repairs and maintenance. Virginia Commonwealth University celebrated the new construction of its new Allied Health Professionals Building in Richmond, Virginia. Once the building is complete in fall 2019, the building will stand at 154,000 sq. ft., and will consolidate 11 of the university's programs which are housed in 5 different buildings on two separate campuses. VCU is planning another construction project just across the street which will be an adult outpatient facility. Technology is changing everything we do these days and our infrastructure isn't too far behind. Our infrastructure has had its fair share of problems lately and it is in desperate need of repair. Congress has had decades now to start working on fixing these problems and it simply hasn't been done. New ideas are being brought to the table on how exactly to fix our roads. Atlanta's Centennial Olympic Park in Georgia has been making progress on a renovation project, which started earlier this year. Two of the six extensive expansion projects are set to completed by the end of the year. A new promenade that will feature different Olympic sports will connect the College Football Hall of Fame to the Olympic Ring Fountains. Bigger construction projects will begin in early 2018 that will include a Special Event Center and the renovation of the Southern Company Amphitheater. Those are just a few things we've been talking about over the past week. 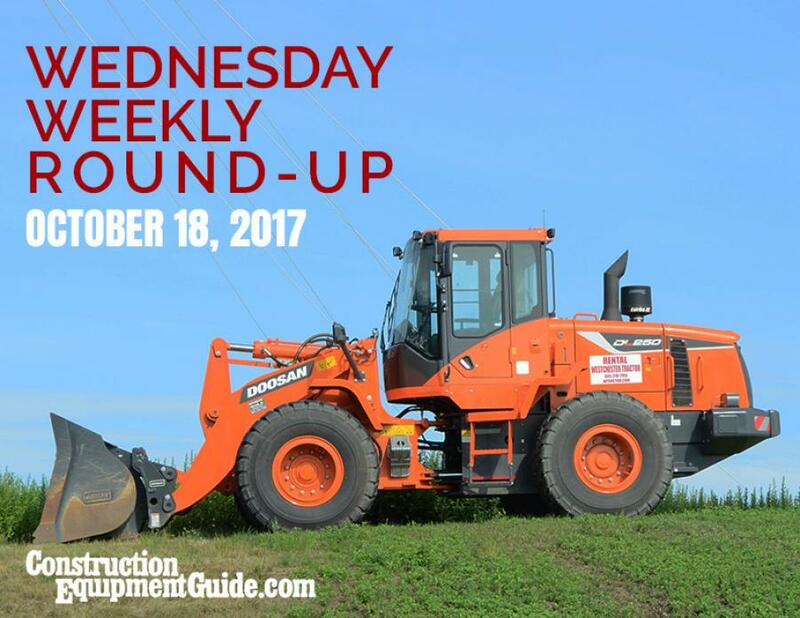 For more news and updates, check out Construction Equipment Guide's Industry News Page and our Industry Blog Page.